American Waterfowler stands alone as the bible of contemporary waterfowl hunting while paying homage to the deep traditions and exalted past of the marsh gunners and all their trappings. American Waterfowler focuses on fi nding solutions for the common problems hunters face. Within dedicated columns such as Duck Dogs, Shotguns, Shotshells, Decoying, Flyway Watch, Smart Money, Marsh Notes and Tried And Tested, experts whose passions reside at the heart of the waterfowling industry share their knowledge and experience, making American Waterfowler THE magazine for waterfowlers both young and old. Overcoming the challenges of weather, water, mud, decoying birds, dog handling, proper guns and loads and getting to the birds owes much to the brilliant products manufacturers have brought to bear, and the remarkable destinations provided by guides and outfi tters. 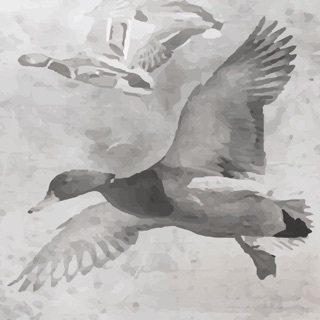 American Waterfowler answers the call for a dedicated duck and goose hunting magazine to lead fowlers into the new era, while carrying on the rich traditions gained in a century of American waterfowling. Love this magazine. I haven't had any issues at all with the app crashing. Being a waterfowler, I'm used to spending large amounts of money for something that I love, so a couple extra pennies for something to do when the birds arent flying is worth it. The magazine is one of my favorites - I look forward to getting each new issue. I really like this magazine, really wish it was available in print. Great stories and good reviews. Happy I found this.